Jagadguru Shankaracharya was the very first or “Adi” Jagadguru who appeared on this earth about 2,500 years ago (500 B.C.). He re-established the greatness of Vedic Sanatan Dharm in India with the aim of propagating the Vedic religion, and diminishing the effects of the prevalent, spurious doctrines and false religions. His philosophy is known as advaitvad or absolute monism (non-dualism), and it forms the basis for the teachings of the path of gyan. Shankaracharya identified God as formless, without attributes, a non-performer of actions and without any kind of internal or external distinctions. He described the nature of God as pure and eternal existence, unlimited knowledge and Divine bliss. He further claimed the world to be an indescribable illusion and that the soul is the combined effect of God and Maya (Illusion). He stated the soul’s original nature to be the same as God Himself. 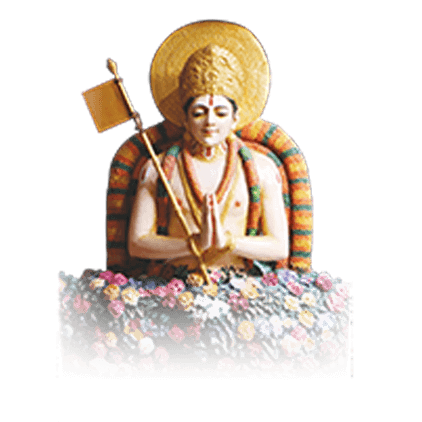 Jagadguru Ramanujacharya appeared about 1000 years ago. 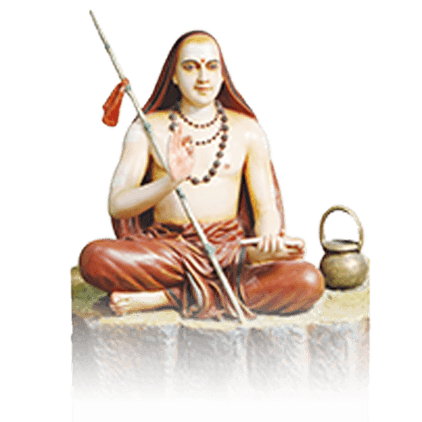 His philosophy is known as vishisht advaitvad, or qualified monism (qualified non-dualism), opposite to Jagadguru Shankaracharya’s philosophy. He described God not only as the Creator, the Lord of the universe, but also as omnipresent, omniscient and omnipotent, and a divine ocean of knowledge, bliss, compassion and other unlimited attributes. He further stated that the individual soul is both an infinitesimal fraction and an eternal servant of God, and at the same time, He claimed that God resides in the heart of every soul. 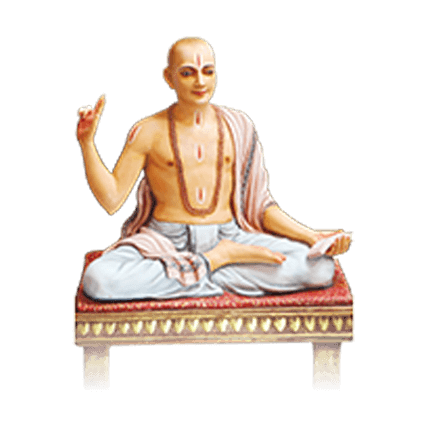 Jagadguru Ramanujacharya travelled throughout India and propounded the path of Bhakti (devotion to God) as the only means of God realisation. He placed great emphasis for a Bhakta (devotee) to renounce all material attachments, remove prideful ego and to remember God’s name and serve Him with the body, mind and wealth, while sincerely and humbly begging for forgiveness for all his sins, upon which, with the grace of God, the soul will be forgiven and will attain the Supreme divine bliss. Jagadguru Nimbarkacharya appeared shortly after Jagadguru Ramanujacharya (11th Century A.D.). He put forward the philosophy of dwaitadvaitvad or dualistic non-dualism (mono-dualism), which makes the distinction that although there is perfect duality between God and the soul, the soul is also simultaneously one with God. He described the soul as a fraction of God, and that the purpose of creation is for the souls to receive God’s grace and realise Him. He further stated that although God has two aspects – formless and with form, the soul’s ultimate spiritual welfare is only accomplished through devotion to the personal form of God. Considering Himself to be a servant and God to be His Master, He introduced selfless, wholehearted devotion to Radha-Krishna. 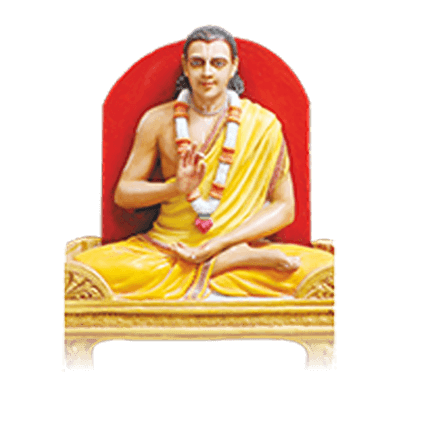 Jagadguru Madhvacharya appeared about 700 years ago and was a vigorous propagator of dvaitvad or philosophy of dualism. He stressed that the attainment of the personal form of God is the goal of all souls, and that God, Maya and soul are three separate entities. According to His philosophy, an individual soul can attain God realisation and liberation only through bhakti. He also said that according to the actions of our past lives, we receive happiness or sorrow. While experiencing happiness, we should not forget God, and while experiencing sorrow, we should feel God’s grace. He further said that we should constantly absorb our thoughts in the love of God, at all times. There is nothing greater than thinking about, listening to, remembering and praising God's names and virtues. 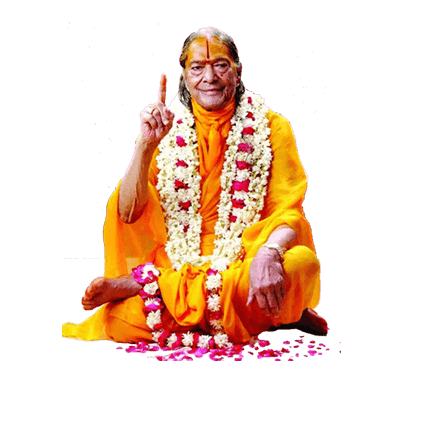 A historical event took place in January 1957 when Shri Kripalu Ji Maharaj gave a profound series of lectures at the invitation of the Kashi Vidvat Parishad, a body of 500 of the topmost Vedic scholars of India who collectively represent the seat of spiritual learning. Shri Maharaj Ji spoke for ten days revealing the secrets of the Hindu scriptures. He reconciled the apparent contradictions between the various Vedic scriptures, and the differences between the views of the previous Jagadgurus, to reveal the true path to God-realisation for the welfare of all humankind. With profound admiration, the scholars accepted that his knowledge was deeper than the combined knowledge of all 500 of them put together. They unanimously acclaimed him as Jagadguru, the Spiritual Master of the world. They further added that he was “Jagadguruttam,” or Supreme amongst all the Jagadgurus. Among the various accolades that they showered upon him was “Bhakti-Yog Rasavatar”, or the personification of the Bliss of devotion. Jagadguru Shri Kripalu Ji Maharaj, founder of Jagadguru Kripalu Parishat, was a God Realised Saint whose entire life was dedicated to inspiring souls on the path of devotion to God. 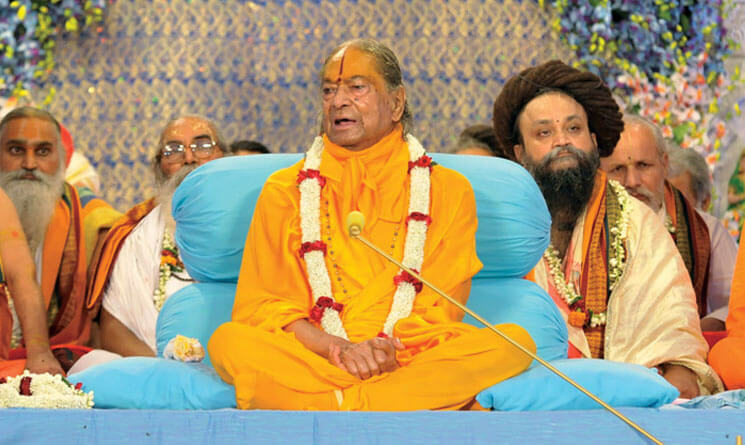 Through enlightening discourses and chanting of the holy name, Jagadguru Shri Kripalu Ji Maharaj (lovingly called Shri Maharaj Ji by His devotees) made unceasing efforts to reveal the true philosophy from the Vedic scriptures to mankind in the simplest form possible so that they may attain their true goal of God Realisation. Jagadguru Shri Kripalu Ji Maharaj not only validated His teachings and discourses to be the only true eternal philosophy of God by citing the Vedas and the Vedic Scriptures, but He also revealed and explained the facts and intricate secrets buried in these Divine Scriptures in the simplest manner through everyday examples experienced by individual souls, that would otherwise be incomprehensible for an ordinary person. The Vedas are the topmost treasure amongst all scriptures in the Hindu religion and are eternal, boundless and are in fact the Divine words of God Himself. 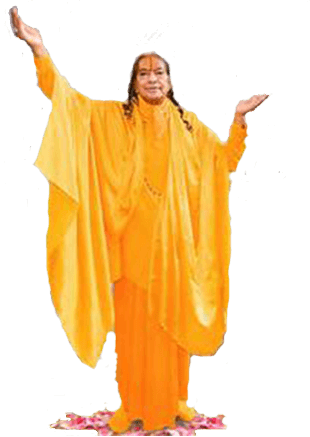 Jagadguru Shri Kripalu Ji Maharaj manifested the quintessence of all Vedic Scriptures by revealing and establishing the easiest path to God Realisation – the true goal of every individual soul. Jagadguru Shri Kripalu Ji Maharaj neither made any disciples nor did He form any ethnic group. With due respect to all existing philosophies and religions in the world today, He established selfless devotion to Radha-Krishna as the only true eternal path for the individual souls to attain the ultimate goal of life – God Realisation. 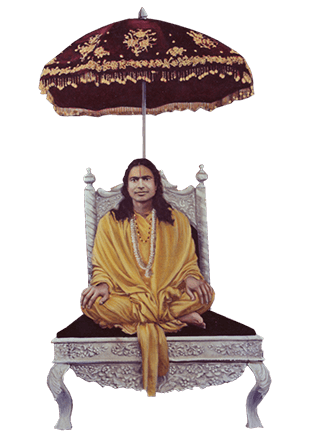 Jagadguru Shri Kripalu Ji Maharaj validated all existing philosophies of Spiritual Masters from the past, and at the same time, He presented His own philosophy in the simplest form, which reconciled all contradictory viewpoints and discrepancies found in the existing philosophies and scriptural teachings. Jagadguru Shri Kripalu Ji Maharaj not only had complete authority over the Vedas and the Vedic Scriptures, but was also the embodiment of Divine Love Bliss, and hence was honoured with the title of “Bhaktiyogarasavatar”. In the current dark age (Kaliyuga), He made the Divine Love of Radha-Krishna flow into even the most sinful hearts, proving Him to be Bhaktiyogarasavatar (an embodiment of Divine Love Bliss).